I love busy bags and so does my son! A Busy Bag is simply an activity in a bag that was made to keep your child busy. Most are small enough that they can fit in your purse or in a diaper bag, so that you can carry them with you. They come in handy when you are out to eat or waiting in the doctor's office. This is a really simple and easy to make busy bag to make for your toddler or preschool aged child. With this simple busy bag, your child can practice color sorting, counting, and patterns. 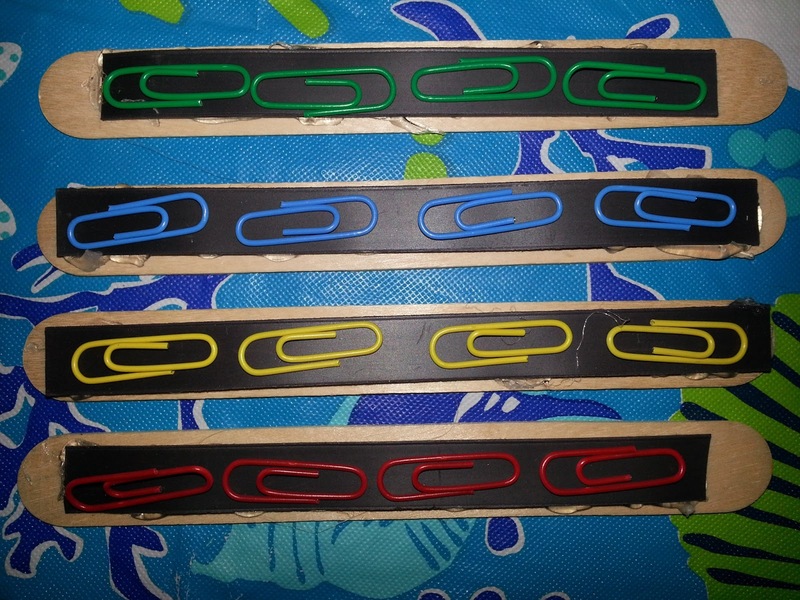 All you need is some popsicle sticks, magnetic strips, and colored metal paper clips. Simply cut the magnetic strip to fit on the popsicle sticks and glue it on using a glue gun. Throw them in a bag with different color paper clips and you got yourself a busy bag! 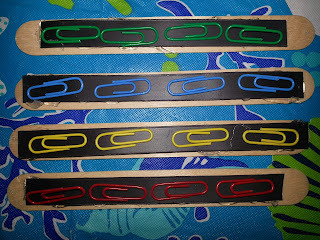 Have your child match all of the same color paper clips on the sticks. 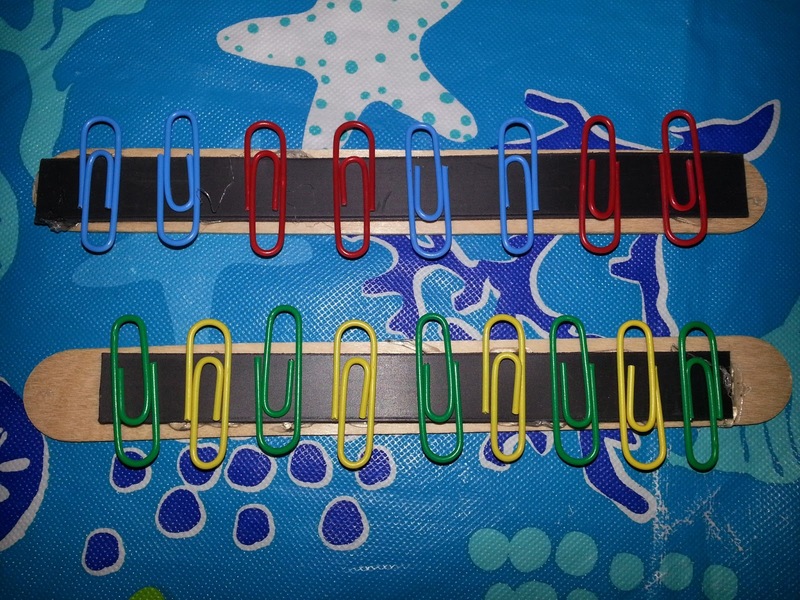 Your child can practice counting by counting the number of paper clips on each stick. You can also challenge your child to use the paper clips to make simple patterns.